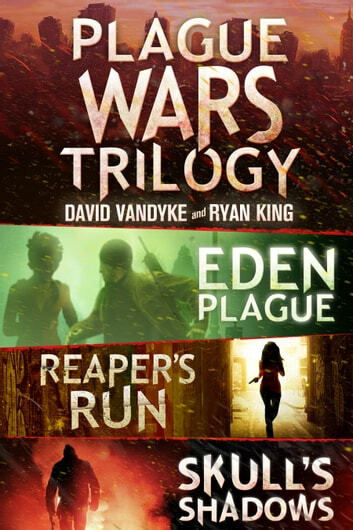 From Hugo nominated author David VanDyke. 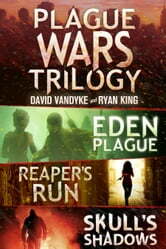 When the Eden Plague is loosed upon the world, the forces of order and chaos, good and evil must battle it out in a struggle for control and supremacy. A PTSD-damaged combat medic, a female Marine with no legs and a sniper with no remorse might be its only hope of survival. Can these flawed heroes drive back those who would enslave humanity? Or will the darkness spread and swallow them up? I really enjoyed this series. I normally only get the free book, but I kept buying the next one I was so into it. I am currently reading the fifth book and can't wait to finish it. Ace! Don't know why I have to submit a minimum of 50 characters to say. Ace! A very well written, realistic plot. It makes you think it really could happen or something similar. Being a vet I can relate to this story very well.